Dr Cole and his staff went far and beyond my expectations. I was in chronic pain the receptionist got me in ASAP. I didn’t have to wait. Dr Cole informed me of what issues were found in the x-rays. I felt better after my first visit. I was was very nervous not having seen a chiropractor ever. I would highly recommend this practice! I was so excited about getting to have this appointment today. After so many years of putting up with many annoying health issues and getting no where with the medical doctors, getting this exam has reassured me that I can feel better! I don’t believe in taking a pill for aches and pains. I believe as Josh Cole explained to me today, how all our systems work together to keep us healthy! !I Thank the Lord for making our bodies as He has made them! We truly are fearfully and wonderfully made!! Thank you Lord for working through Josh to help me to get on track! My wife found this place, I have been suffering for years now my suffering of pain is almost over, my first day going I learned a lot in a couple of hours than I have from others doctors in years. Jessie went beyond what I expected to help me at the front desk. Dr. Josh Cole had an excellent bedside manner, was extremely knowledgeable, and helped with my diagnosis and pain treatment. I use to be very skeptical of chiropractors. I recently went to one due to a car accident and was truly amazed at the service I received. Dr. Josh Cole has changed my thoughts about chiropractors. He does amazing work. So thankful for treatments and encouragement that I have experienced at the Neck and Back Specialist. Recommended highly. I would like to thank Dr.Cole and staff for getting me in last minute. They were extremely nice and professional from the time I walked in to leaving. Dr. Cole was very informative. I am excited about feeling better! Thanks again! You guys are great. You take time to explain everything to me during each visit. I’ve never had that before. It is so easy these days for doctors to treat you like your just a number on their list of people to see. But you don’t do this and it is noticeable! Believe me! When I get adjusted…you tell me why I need it, the pros and cons and what effects it has on me. I love feeling included. My first time coming in…I was explaining to the receptionist all that I was going through and didn’t at all feel optimistic that I could even be helped. Unbeknownst to me, Dr. Josh Cole was near by listening. When I was done.. He walked over…shook my hand and with a warm smile stated that I don’t need to worry. He could help me with my head tremor and things would turn out alright for me. That optimism and confidence coming from him…was like a bright ray of sunshine! Naturally I found where I needed to go! Thanks again Dr.(s) Cole. You are appreciated more than you know! Cole Chiropractic is amazing! Dr. Josh was so thorough and explained things I had never known before. They are truly experts in back and neck care. I felt so much better and had less pain after the very first visit! 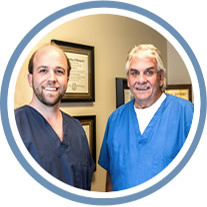 I just can’t say enough good about Dr. Josh and his practice. I only wish I would have gone to them years ago! I am glad that I followed the recommendation to see Dr. Josh. He has been tremendously helpful. This has been my first experience with chiropractic treatment so I was uncertain of what to expect. Everyone has been most helpful and the the atmosphere is relaxed. I will certainly recommend Cole Chiropractic to others. I had heard for many years about the wonders of getting adjustments and after 69 years and my first visit, I have missed many years of enjoyment and feeling relaxed. I can’t turn back the hands of time but with Dr. Josh’s help, I am looking forward to many more years of feeling wonderful and being relaxed.